Kristin Marcum is a licensed South Carolina physical therapist. Kristin received her undergraduate degree from the College of Charleston in Biology with a minor in Psychology. She received her doctorate degree in physical therapy from the Medical University of South Carolina. 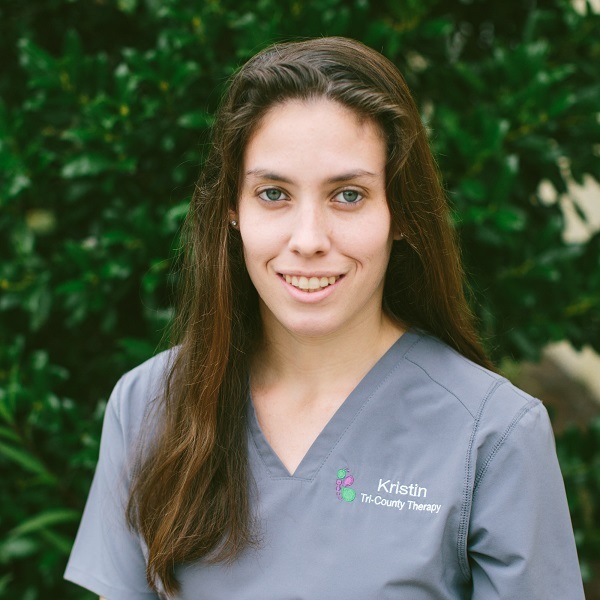 Kristin has clinical experience in a number of settings including hospital, schools and outpatient clinics. She has a particular interest in working with children with delayed ambulation as well as children with developmental disabilities. Kristin has completed coursework in MNRI® (Masgutova Neurosensorimotor Reflex Integration- MNRI® Method)- Dynamic and Postural Reflex Pattern Integration, which has allowed her to provide additional assessment and integration of motor reflex patterns. Kristin is married to her husband, Justin, and has a little girl, Quinn. She enjoys spending her free time with her family and coaching competitive all-star cheerleading.